With only a few days left of June, we thought we would explore the amazing birthstones of this month, before it’s over. The really fascinating thing about the month of June, is that there is not only 1, but there are actually 3 birthstones of this month. 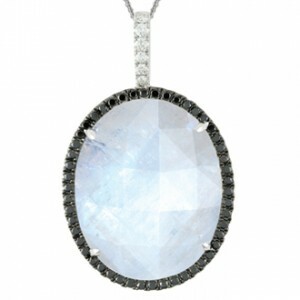 The 3 amazing birthstones for the month of June are: Pearl, Alexandrite and Moonstone. Each of these gemstones are unique and offer their own characteristics and offer different healing qualities. The Pearl is widely popular throughout the world. Once of thought of as only suitable for formal occasions, Pearl jewellery is now so fashionable and can be work with anything from denim and casual day wear, to teaming them with satin and silk for more formal events. 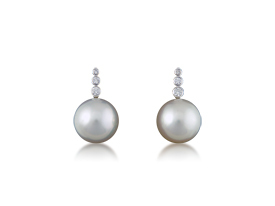 Organic in nature, the Pearl is considered to be as precious as emeralds, rubies and even diamonds. Available in a variety of colours, the pearl is commonly seen as milky white, however depending on the environment the pearl was produced in, they are also available in silver, lavender green, black, blue and golden tones. Signifying friendship and loyalty, the pearl also symbolises purity and are considered to be effective in treating health issues related to the stomach and heart. The pearl is also known to be calming and assisting with mental stability. 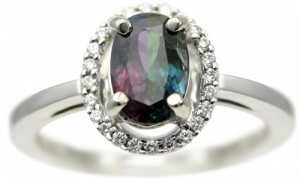 There is true magic, when it comes the gemstone Alexandrite. This exotic stone changes colour and seen in blue and green tones throughout natural daylight, however is known to change to warmer reddish and purple tones when seen inside under incandescent light. With its colour changing quality, it’s said to inspire creativity and strengthen intuition in the wearer of Alexandrite jewellery. It’s also known for it calming qualities and is said to be helpful in balancing the functioning of the circulatory system. The natural shimmering translucent qualities of the moonstone are beautiful to the eye and provide a gorgeous medley of colours from shades of peach and champagne to pink, purple and hints of blue. Known to assist with balancing the digestive system, this gemstone is also known to balance out hormonal functions and assist woman during pregnancy and childbirth. Signifying longevity, good health and good fortune, this stone could be a popular gift for those expecting children and a big change in their future. At Coloured Stones Adelaide we love to hand made beautifully designed pieces using unique and special coloured gemstones. Make sure you speak to us and book a consultation to discuss what we can make for you.